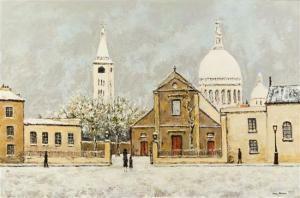 Find artworks, auction results, sale prices and pictures of Louis Peyrat at auctions worldwide. 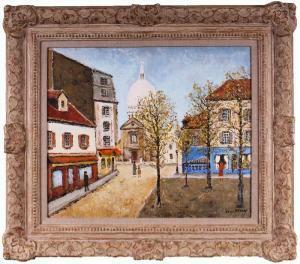 Louis Peyrat (1911-2001) French Lot 0123 DetailsShipping & PaymentAuction Terms & InfoLot 0123PARIS MONTMARTRE, RUE DU CHEVALIER DE LA BARRE, oil painting on canvas, signed lower right, titled and inscribed on verso, 24 x 30\”, framed. Provenance: Wally Findlay Gallery, inventory #S81035.ConditionIn good studio condition. Largest: 24 x 36 inches. The works are in stable condition; Under UV, no evidence of restoration or retouch. Both Framed: 33 x 45 inches. and 39 x 33 inches. 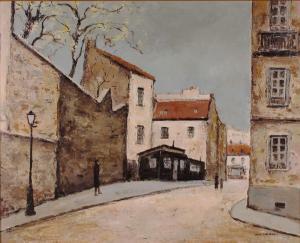 Louis Peyrat (1911-2001) French Lot 0125 DetailsShipping & PaymentAuction Terms & InfoLot 0125PARIS MONTMARTRE, RUE LEPIC, oil painting on canvas, signed lower right, titled and inscribed on verso, 24 x 30\”, framed. Provenance: Wally Findlay Gallery, inventory #S81033ConditionIn good studio condition. 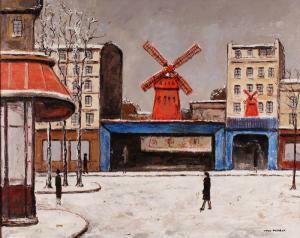 Louis Peyrat (1911-2001) French Lot 0124 DetailsShipping & PaymentAuction Terms & InfoLot 0124PARIS MONTMARTRE, MOULIN ROUGE, oil painting on canvas, signed lower right, titled and inscribed on verso, 24 x 30\”, framed. Provenance: Wally Findlay Gallery, inventory #S81041.ConditionSmall rear impact semi-tear more visible from verso than recto, with miniscule associated paint loss, otherwise in good studio condition. 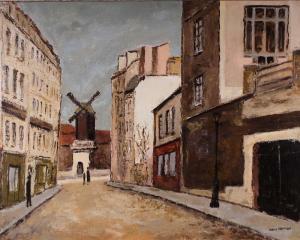 Louis Peyrat (1911-2001) French, PARIS MONTMARTRE, PLACE DU TERTRE, oil painting on canvas, signed lower right, titled on verso, 18 x 21 ½\”, frame 27 x 29 x 3\”. Provenance: Wally Findlay Gallery, inventory #C89300.ConditionIn good studio condition.